Heyl Royster offers summer associates the opportunity to work in a creative, ethical and diverse environment. 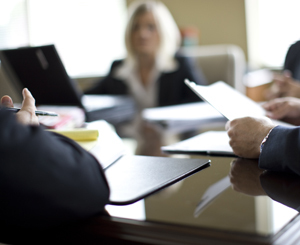 We provide a variety of challenging, in-depth assignments and the ability to work with many of the firm's attorneys. Although our summer associates work hard, they also have fun. We offer activities and provide time for socializing with attorneys. Some of the events include sports events and a summer party at a partner's home. Our program is designed to give law students a well-rounded law firm experience. We are proud that many of our new attorneys were part of our summer associate program. Choosing the right career path in the legal profession can be a daunting process. Are you the right fit for the firm, and is the firm the right fit for you? What should you ask about in an interview? What are firms looking for, and how can you set yourself apart from other summer program candidates? In 2014, a group of Summer Associates participated in a Q&A panel discussion with three Heyl Royster partners, Tim Bertschy, Gary Nelson and Deb Stegall covering the topics below. What is the Firm Looking for in a Summer Associate?